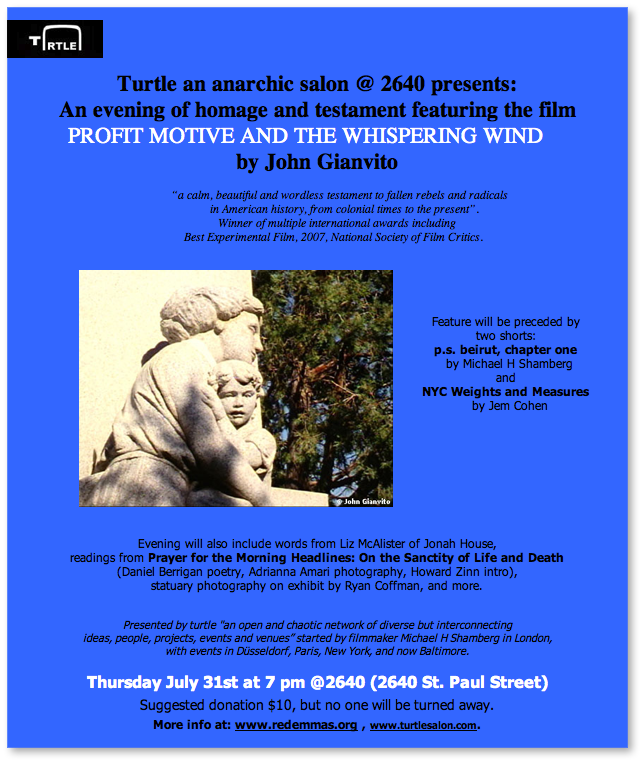 Please join us for an evening of homage and testament to fallen and breathing radicals, rebels, and provocateurs, featuring a special screening of the film PROFIT MOTIVE AND THE WHISPERING WIND by John Gianvito. Filmed across the United States over a three-year period, PROFIT MOTIVE AND THE WHISPERING WIND is a remarkable and moving visual meditation on the progressive history of the US as seen through its cemeteries, historic markers, and landscape memory. 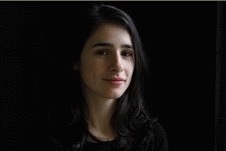 Winner of multiple international awards including Best Experimental Film (2007), National Society of Film Critics.  The feature will be preceeded by two shorts: "p.s. beirut, chapter one" by Michael H Shamberg, and "NYC Weights and Measures" by Jem Cohen. The evening will also include readings from "Prayer for the Morning Headlines: On the Sanctity of Life and Death" (poetry by Daniel Berrigan, selections and photographs by Adrianna Amari, introduction by Howard Zinn), words from Liz McAlister of Jonah House, an exhibit of the statuary photography of Ryan Coffman, and more. The evening, hosted by Red Emma's, is presented by Turtle an anarchic salon, "an open and chaotic network of diverse but interconnecting ideas, people, projects, events and venues" started by filmmaker Michael H Shamberg in London in 2006, with subsequent events in Düsseldorf, Paris, New York, and now in his childhood home of Baltimore. The event takes place on Thursday July 31st at 7 pm @2640 (2640 St. Paul Street, Baltimore, MD). Chistina Courtin (christinacourtin.com) will play here!